The amazing thing about Model Visegrad plus Germany is that it connects youth from five different countries and creates a platform for self-realization and education. At this summer school, students from the Czech Republic, Slovakia, Poland, Hungary and Germany come together to discuss topics of the highest importance and to learn more about the role of the Visegrad Group in global politics. 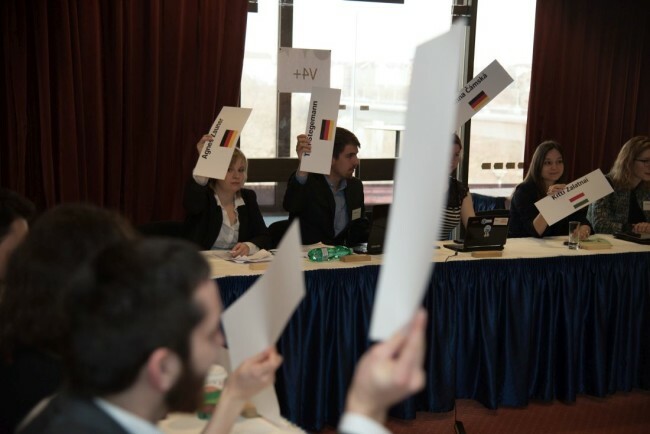 Model Visegrad plus Germany is a MUN-type simulation organized as a summer school by the Association for International Affairs (AMO). It simulates the negotiations of the Visegrad Group plus Germany. University students from these countries participate in a seven-day-long, thoroughly prepared educational programme which is held in Prague between 23–29 July 2017.